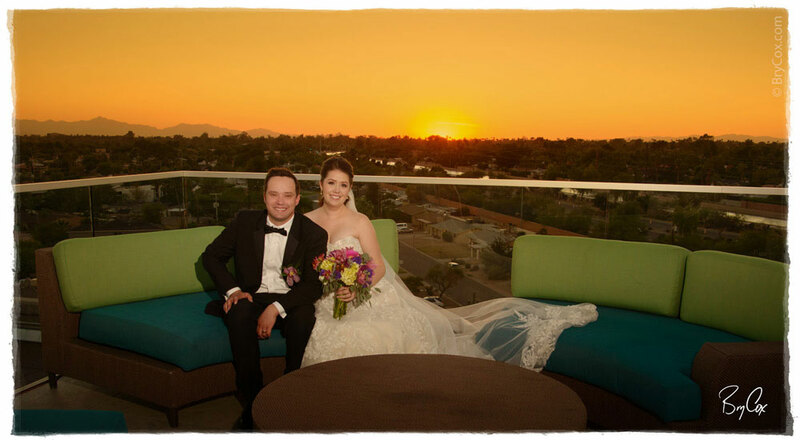 Last week I had the honor of flying down to Scottsdale, Arizona to photography Kim and Billy’s wedding. 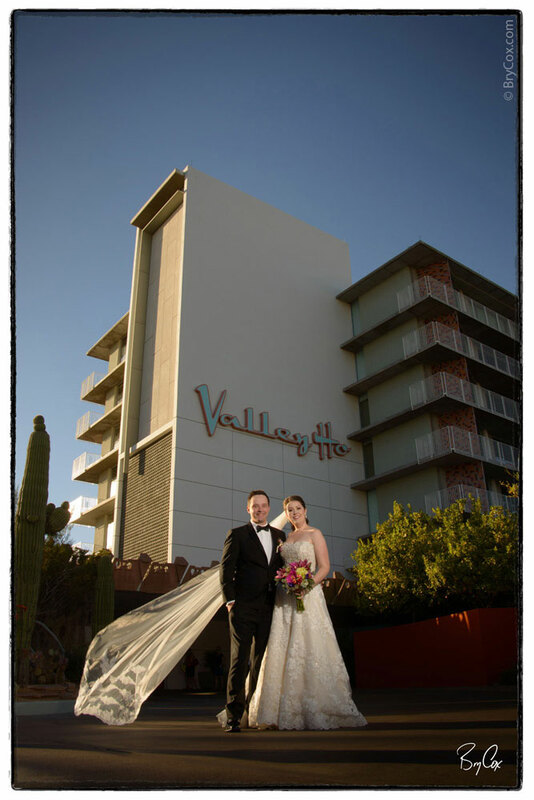 It was a Jewish wedding at sunset on the roof of this very cool mid-century hotel, called Valley Ho. 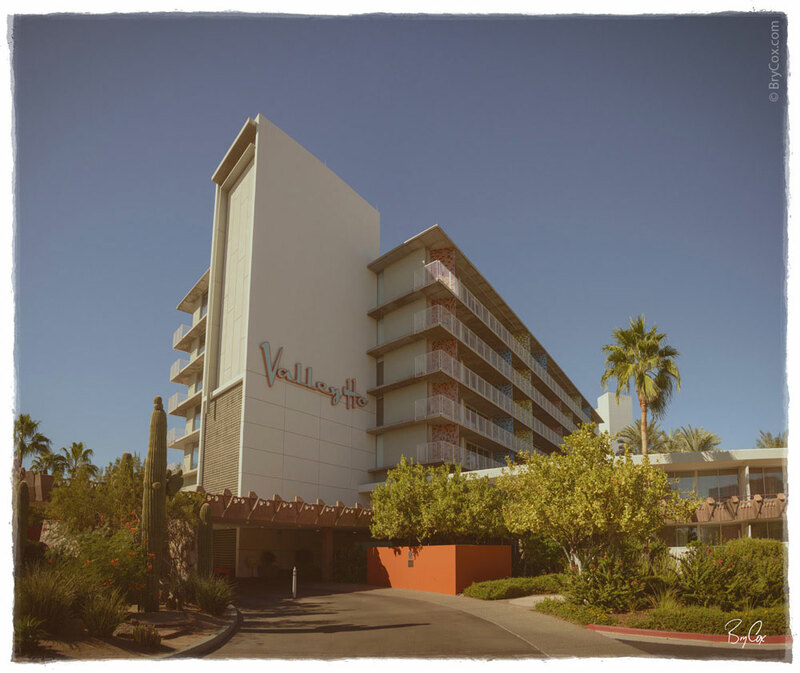 When you walk into the hotel’s front doors, you immediately feel like you’re on a set for Mad Men. The attention to detail is wonderful, so for the opening image, I decided to give this a retro film look – no filter however. I created this look from scratch. 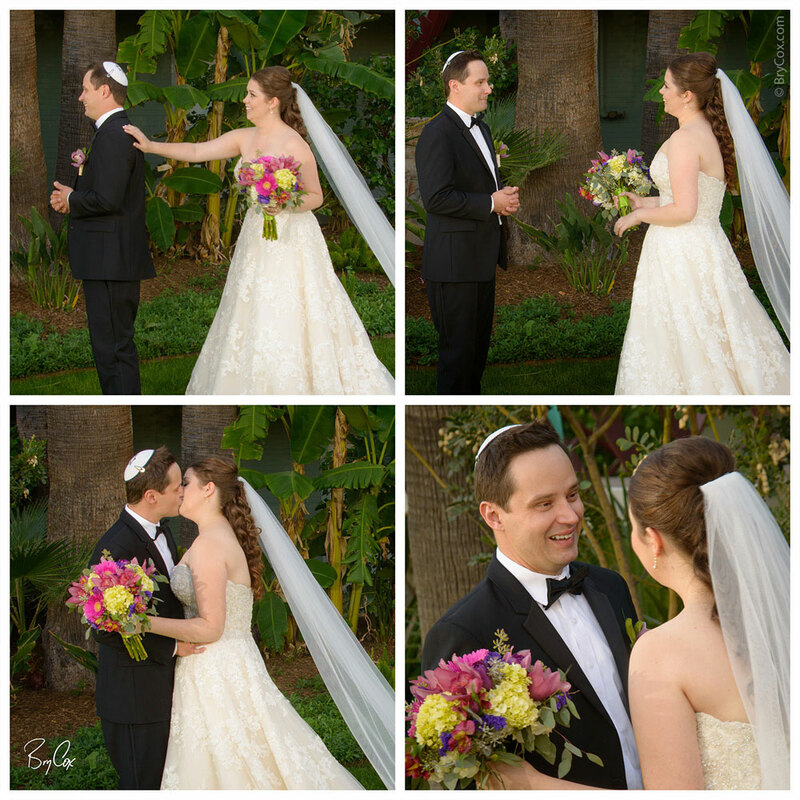 Before the ceremony we did a ‘first sight,’ where the groom sees the bride in her dress for the first time. I love his reaction. It’s perfect. 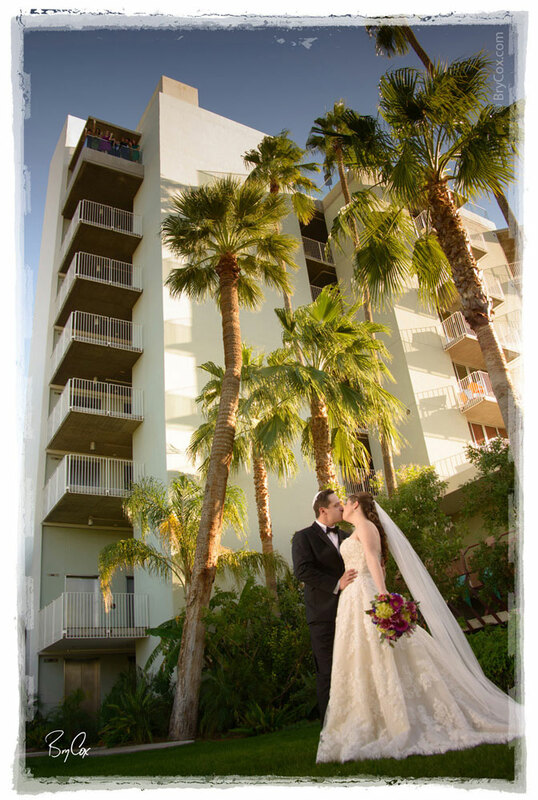 While shooting some couple portraits, the wedding party watched from the top balcony and waved at us. Billy’s side of the family is Jewish and Kim’s family is LDS. I thought the Rabbi did a wonderful job. 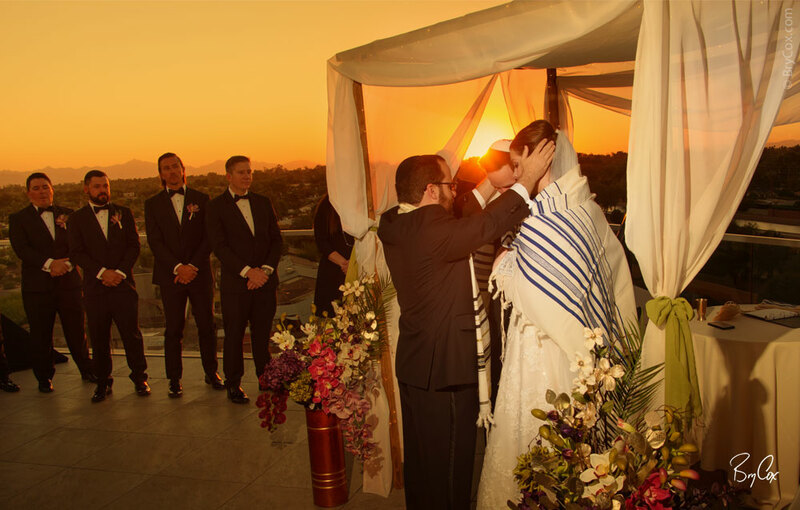 The ceremony was held on the roof of the hotel as the sun set in the distance. 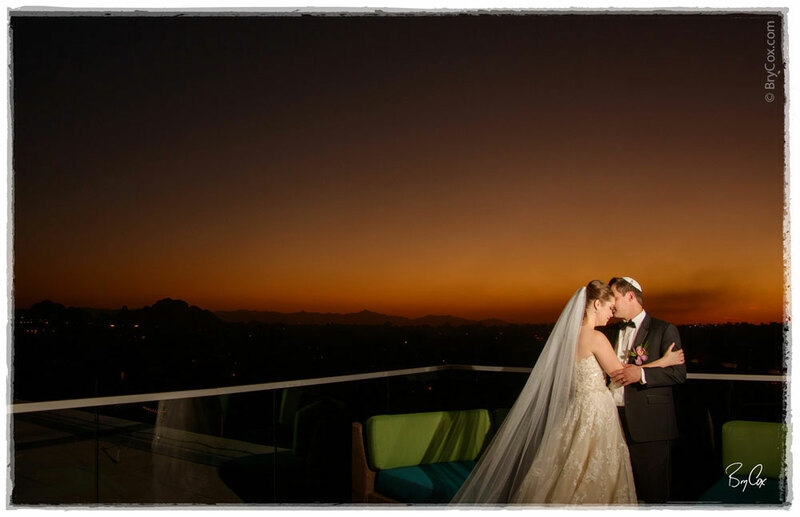 Immediately following the ceremony I stopped the couple for some beautiful images as the sun quickly disappeared. There is so much more to show so once the album is designed, I’ll have to share it as well. But for now, I hope these two are having a wonderful first week of marriage. Congrats, you two! And if any of you are looking for great photography either here in Utah or out of state, give me a call. A cheap plane ticket isn’t much, especially when you know you have the photographer you want. My number is 801-728-3317. So cute! Great work. Can’t wait to see the rest!! Beautifully captured memories! Thanks for sharing!